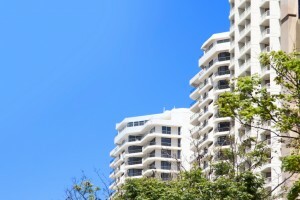 If you’re thinking of buying into a strata complex, there are a few things you need to know first. One of them is how to get a Section 184 Certificate – that mysterious document giving vital information about the health of the building’s owners corporation. Let’s take a look at what a strata complex is, what a Section 184 Certificate shows you and how to obtain a Section 184 Certificate before you purchase in a Strata. A Certificate under Section 184 of the Strata Schemes Management Act 2015, is a Certificate prepared on behalf of the Owners Corporation that details specific financial and other information pertaining to a Lot. A Section 184 Certificate is typically prepared in response to the sale of a Unit, and is primarily used for the purposes of determining any adjustments (for monies prepaid or owing) that should be made to the settlement figure. 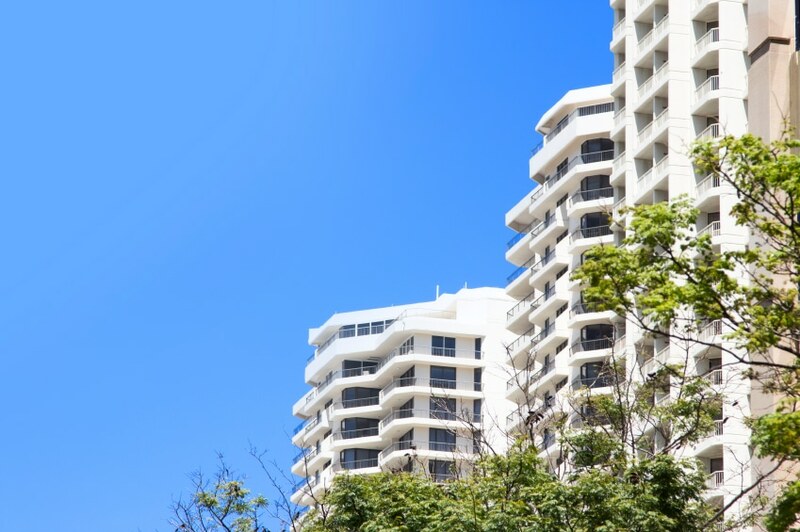 Although the Section 184 Certificate is generally requested by prospective purchasers, to make sure they’re buying into a reputable and fully functioning strata scheme. It can, however, be requested at any time. Important: Note that a Section 26 is the equivalent certificate under the Community Land Management Act 1989 (NSW). Statutory fees apply for the provision of these certificates. What information is contained in a Section 184 Certificate? The content of the Section 184 Certificate is prescribed under Schedule 1 of the Strata Schemes Management Regulation 2016.
Who can order a Section 184 Certificate? A Section 184 Certificate can only be requested by the owner, mortgagee or covenant chargee of the Lot (or a person authorised by the owner, mortgagee or covenant chargee). As such, the request for the Certificate is usually submitted by the Vendor’s solicitor. A request for a Section 184 Certificate must be made in writing to the Owners Corporation (typically via the Strata Managing Agent), and must be accompanied by the prescribed fee. Why obtain a Section 184 Certificate? A Section 184 is an important document to obtain if purchasing a unit, as it will outline all financial obligations of the Lot that should be considered as part of settlement. The Certificate also importantly provides details of any By-Laws that may have been passed by the Owners Corporation that have not yet been registered. Unlike the information contained in a Strata Report that you may purchase prior to purchasing a unit, the information contained in the Section 184 Certificate is prepared by the Owners Corporation and signed under their Common Seal. How is a 184 Certificate obtained? A 184 Certificate is available upon application to the owners corporation treasurer or strata manager, and the request is generally made by the owner of the unit or apartment. If it comes from anyone else, the owner or mortgagee’s written permission is required before the certificate can be issued. A reputable vendor is normally happy to comply with this request, and accepts it as a matter of course. If the vendor raises obstacles to a certificate being obtained, it’s a good indication that there might be an issue – often outstanding levy contributions or payment backlogs. If an outstanding levy is not shown on the certificate, the purchaser may not be held responsible for that amount. Rather than dealing directly with the owners corporation, many purchasers find it easier to go through the strata manager or body corporate management. What is the cost of a 184 Certificate? The cost of a Section 184 Certificate is prescribed under Schedule 4 of the Strata Schemes Management Regulation 2016. + $87.45 for an additional lot such as garage, parking space or storeroom. What is the turn-around time for a Section 184 Certificate? Under the legislation the Certificate must be supplied within 14 days of receipt of the application. At Jamesons we aim to have the Certificates issued within a few days of receipt, but each Certificate is different and we cannot guarantee this time frame. If a Certificate is required urgently (within 24 hours), Jamesons offers a priority service at an additional charge of $59.95 (unit) or $29.15 (utility lot/carspace). It really is worth the trouble of ordering a Section 184 Certificate before you buy into a strata scheme. This tiny document can head off a world of pain in the future, helping you assess the real value of your prospective purchase. Click here to download a SAMPLE copy of a Section 184 Certificate. Please contact us if you wish to request a Section 184 certificate. * Article last updated July 2017.